When in this part of the world, one is always pondering about what culinary delight will be the highlight of the next meal (possible even as early as one day before). 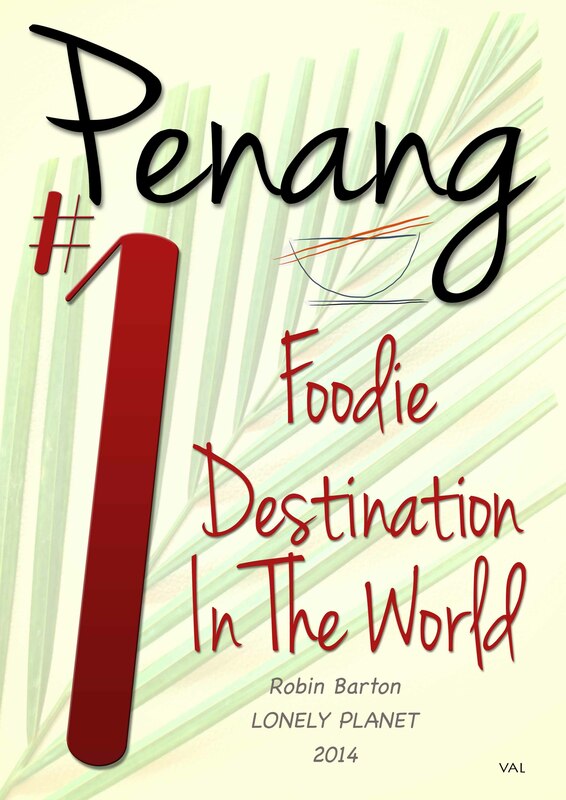 It is akin to being a ‘national pastime’ – particularly when one realizes that tasty local fare abounds in Penang. A reputation that has spread far and wide, well beyond its geographical borders. Whether in often uninteresting looking restaurants or from the hawker stalls, there is always a particular restaurant or vendor whose stall is more well-patronised than others. Such is the case with the ‘curry noodles’ or ‘curry mee’ in Penang. Another curry mee stall that we have been faithfully going to over the years is probably one of the city’s most well-kept secrets, though it has enough of a following at the Hillside, Tanjong Bungah area where it is located. 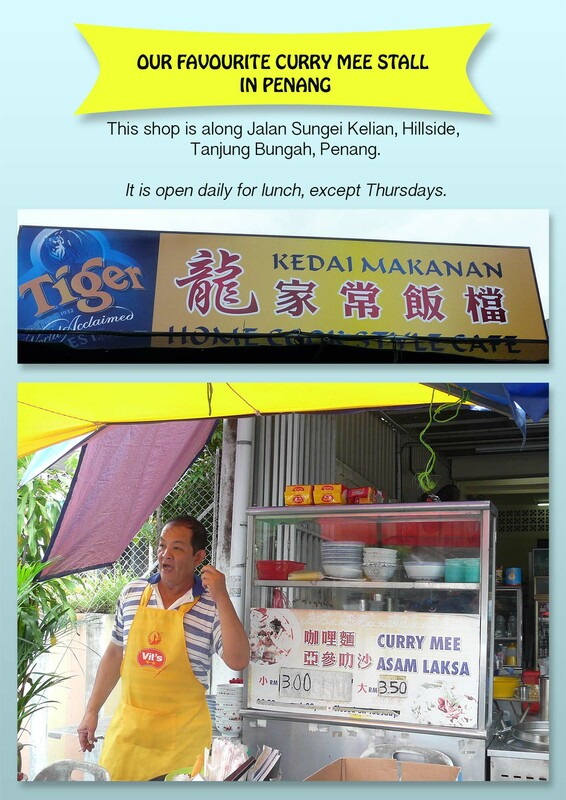 To share this vendor’s location, here is the photo of the curry noodle stall and the chef himself… it is along the Jalan Sungei Kelian Road. Open for lunch, except on Thursdays. We are thankfully fortunate to be in Penang where we enjoy easy access to these famous curry mee vendors….but what of our faraway friends who live in places that do not have such simple culinary joys of life within reach? 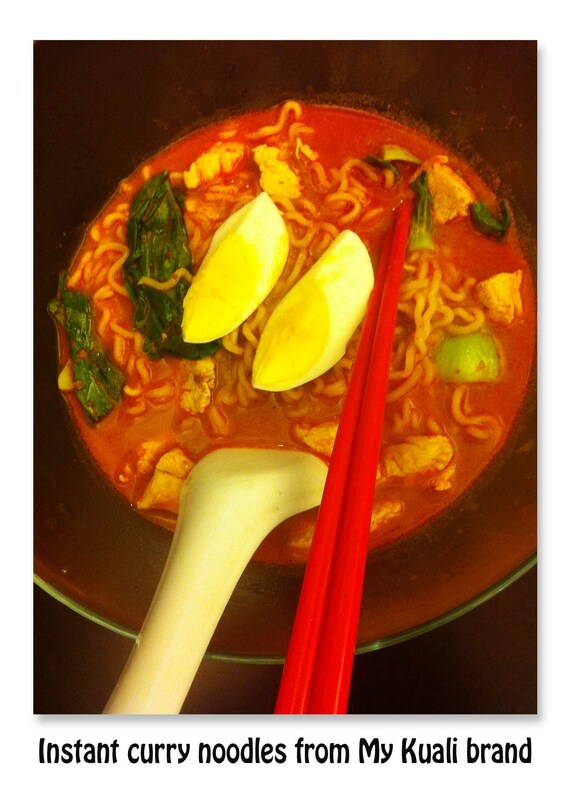 Then perhaps one might like to think of whipping it up in your own kitchen, the instant noodles way! The latest brand – MyKuali Penang White Curry Noodles – is said to be currently one of the best options available in a package. 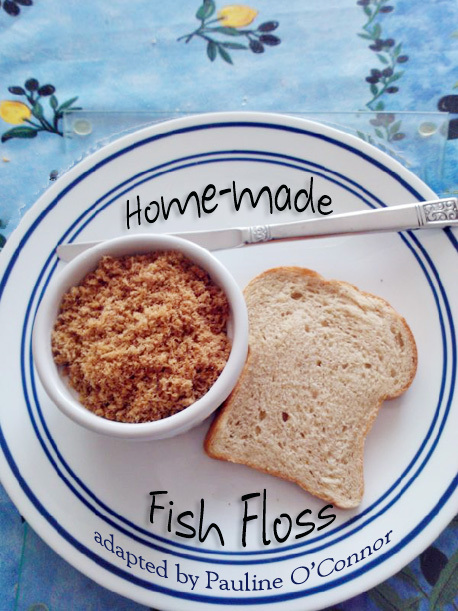 Try it if you can….. it is pretty good, if we may say so ourselves! 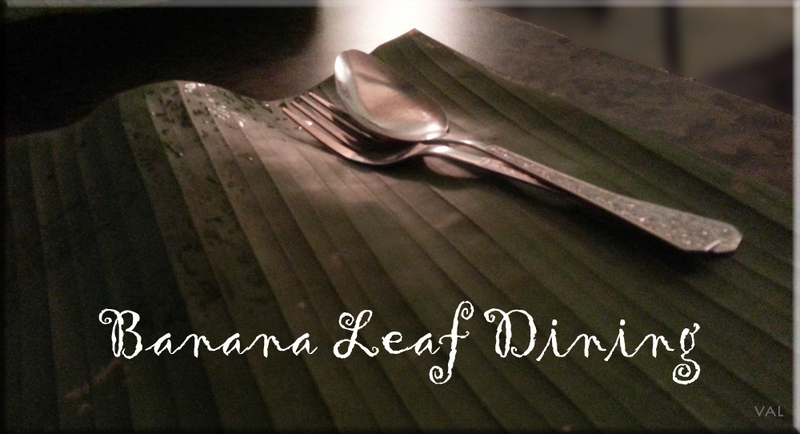 “Going Green” with Banana Leaf Dining? Being typical Malaysians with a love for multi-cultural cuisine, the family anticipated with relish, a friend’s invitation to a banana leaf dinner this evening. For the uninitiated, eating a hot meal off a freshly cleaned banana leaf, is said to be a naturally flavourful experience. While the bright green leaf ‘plate’ places one in a relaxed mood, it also feeds the imagination with other ways in which to apply the banana leaf to good culinary use. Categorised as South Indian, banana leaf cuisine is usually found in a no-frills restaurant, without air-conditioning, just with whirring fans to keep its diners cool amidst servings of hot curries. We marvelled at how devoid of embellishments that particular restaurant was, yet judging by the good number of patrons within, it was obviously a matter of ‘quality food’ over the ‘decor’ that worked in this equation. As they say, ‘our eyes were hungrier than our tummies’. Each of us eagerly nodded to one too many ladles of parboiled rice, scooped onto the clean rectangle shaped banana leaf, laid out neatly with the spine of the leaf nearer to the edge of the formica-topped table. Next, spoonsful of chutney, cabbage and brinjal cooked to vegetarian perfection, were served on our green leafy ‘plates’. And always, a few pieces of papadum placed on the side. They then plonked down on the table, three aluminium buckets, each containing a different curry – chicken, fish and vegetable. Self service being the order of the day with the curry buckets, they came complete with huge soup ladles. A word of advice: do not dally over which curry you prefer, lest the buckets are swung off the table before you are done helping yourself to one of its spicy contents. It must be explained that the trio of curry buckets are to be shared with other tables in turn too. Additional side orders of delectable dishes complemented the vegetables and curries. At the end of the tastefully satisfying banana leaf rice meal, we observed the etiquette of folding the empty leaf into half, with the outer edges facing you….thus signifying that the meal was well-appreciated. To wash down the heavy meal, some diners prefer to drink an aluminium cup of ‘rasam’ which only suits some palates due to its tart tanginess….while some, like us, chose to down frothy concoctions of ‘teh tarik’ or ‘pulled tea’. We count our blessings for every meal, and hope you enjoy yours too. No matter what ends up on your plate, be thankful for it, as many in the world have nothing to eat! For the less fortunate, let us always say a prayer for their well-being. In this part of the world, there are festive occasions where home parties or open-houses are called for, and menu planning and food preparation are either done at home, or partly (sometimes fully) catered affairs. There are also any-reason-for-a-gathering occasions whereby like-minded friends who just love bonding over good food at one another’s home in turn, for a few hours of camaraderie and cosy togetherness. In Malaysia, the food types at most gatherings might differ from western meal choices…but we came across this blog link that has a guide on ‘how much to serve at a party’. It is in an easy to read chart format and should be a good gauge as to how many portions to be served per person. If anyone out there has suggestions on party portions where our local dishes are concerned and wish to share with the others, you are most welcome to do so. At our home, tea time has always been an important occasion. 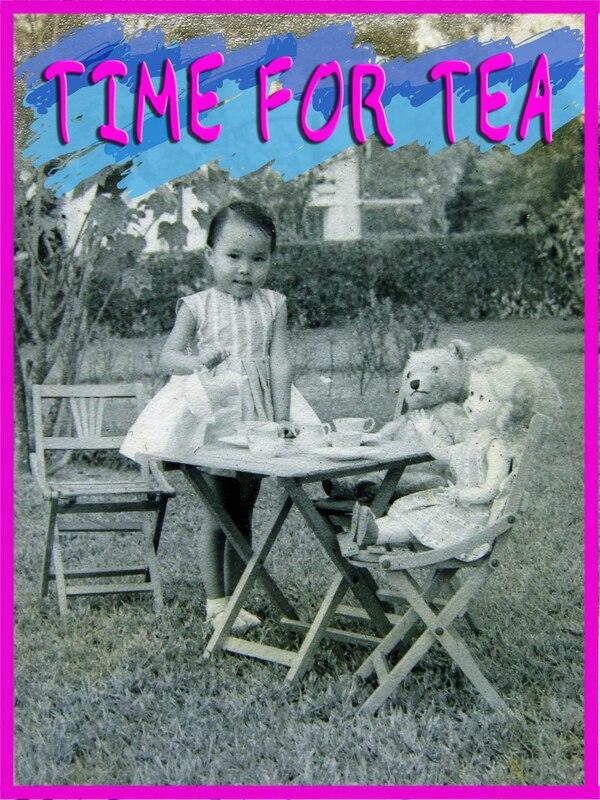 It starts at 4pm and lasts till about 5 or 6pm, depending on how many friends have joined the ‘happy tea hour’. Over the years, we have progressed through all the stages of tea-time formalities. From a full silver-serviced tea complete with cucumber finger sandwiches, laid out on a (now antique) silver trolley, to a very informal gathering of friends who know it’s an ‘open house’ time, and drop by bearing treats for tea, in true Malaysian style. My sister is all for a whimsical tea with cups and saucers like those shown here, as well as in this, which gives us all something to oooh and aaah about. Perhaps it harks back to the days when she used to serve tea very formally to her dolls in a garden setting! Nowadays, our tea is served in an assortment of colourful mugs, with a mini spread of Malaysian tea-time cakes and treats. Sometimes when there are more friends who arrive with a wider assortment of food, it turns into high tea and everyone moves on to the dining table when seating around the usual living room coffee table runs short. Whatever the occasion, the camaraderie is what draws our friends to drop by. Everyone has a different preference of beverage. Apart from the traditional western tea, it could be Chinese tea, an herbal concoction or even a ‘teh tarik’ (Malaysian/ Singaporean ‘pulled tea’). Traditionally, the ‘teh tarik’ is best prepared by the ‘mamak’ (Indian Muslim) vendor but now a similar version is available in sachets – just put it in a cup and pour in hot water from a higher point to create the mandatory ‘froth’. Incidentally, we have stumbled upon this fabulous website which collates recipes beautifully illustrated by artists, and here are a few recipes for a variety of teas which caught our attention…Pulled Tea (Teh Tarik – by a Malaysian illustrator) , Iced Tea, Honey Milk Tea and Chai Tea. It is time to put on the kettle and bring out the pineapple tarts I made for tea! 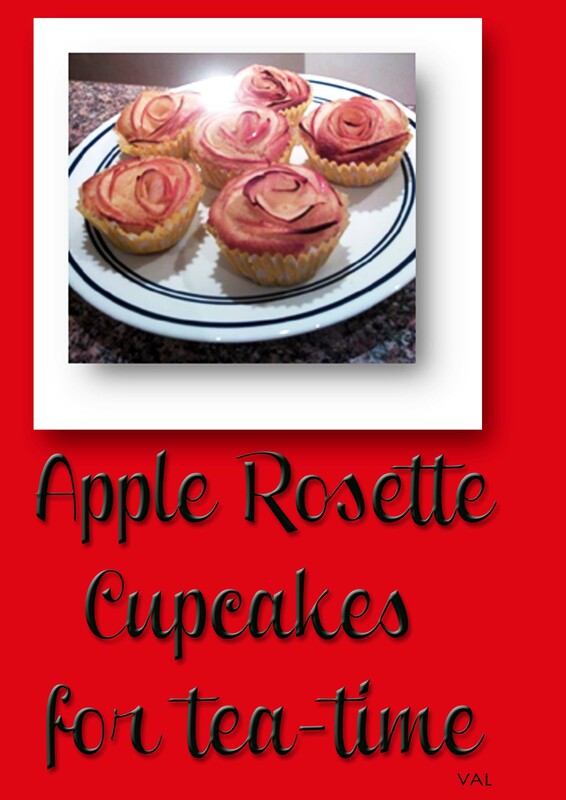 Toodles….